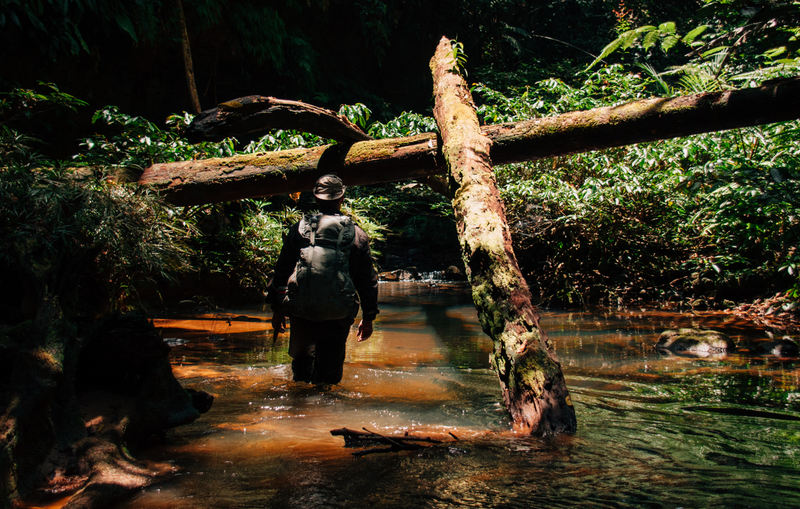 “Going up that river was like traveling back to the earliest beginnings of the world, when vegetation rioted on the earth and the big trees were kings. An empty stream, a great silence, an impenetrable forest. The air was warm, thick, heavy, sluggish. There was no joy in the brilliance of sunshine. The long stretches of the waterway ran on, deserted, into the gloom of overshadowed distances… And this stillness of life did not in the least resemble a peace. It was the stillness of an implacable force brooding over an inscrutable intention… its mysterious stillness watching me at my monkey tricks” – Joseph Conrad, Heart of Darkness, 1899.